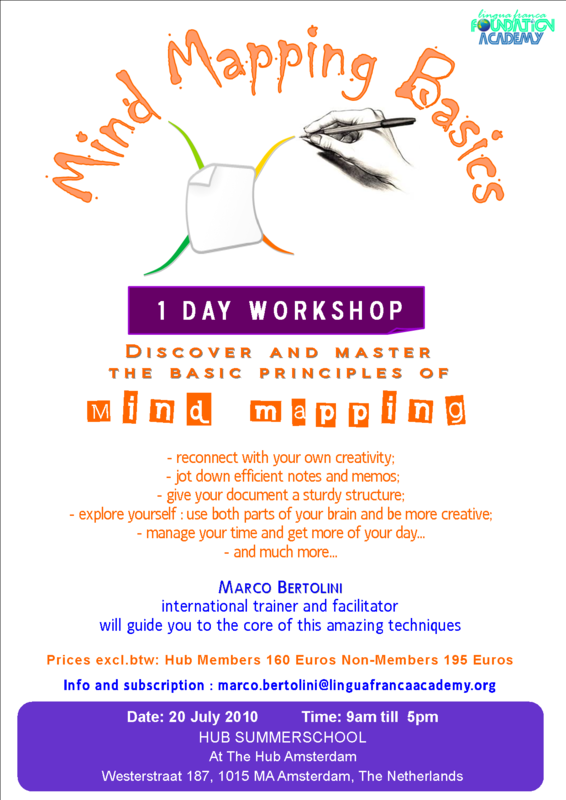 ← Boost your Business Set Up With Mind Mapping and Creativity Tools ! This entry was posted in Business coaching, Business set up, Free tools, Lingua Franca Academy, Mind Mapping, pedagogy, Projects, Training, Uncategorized, Workshops and tagged Amsterdam, business, Europe, events, foundation, Hub, july, learning, mind mapping, project, workshop. Bookmark the permalink.